this time we want to see Fruits. is that you have at least one fruit on it. When you are done upload it to your blog / gallery and tag it Alota68. Remember to go to the ALOTA BLOG and link it to the Inlinkz. 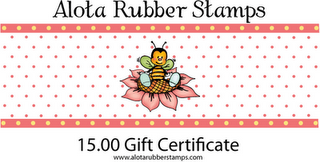 chance to win this wonderful prizes from Alota Rubber Stamps.